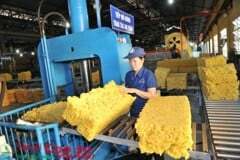 At 14:30 on Saturday 30 Jan 2016 at 9 Bé mini Stadium, Tân Lập Commune, Đồng Phú District, Bình Phước Province, Executive Committee of Labour Union, Youth Union of Đồng Phú Technical Rubber JSC held a friendly football to celebrate 86 years of establishment of Vietnam Communist Party (03/02/1930 - 03/02/2016), and welcome Bính Thân Spring 2016. This helped to create a joyful time and built consolidation between employees in the company and friendly units. 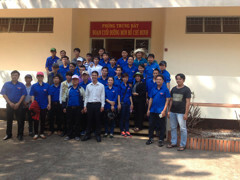 Attendance at the Celebaration are 3 teams: Đồng Phú Technical Rubber JSC, The North of Đồng Phú Industrial Park JSC, Tân Lập Factory, and leaders of our Company and friend units: Mr. Đàm Duy Thảo (GD of Đồng Phú Technical Rubber JSC, Mr. Nguyễn Văn Thái (Technical Manager – Chairman of Labour Union of Đồng Phú Technical Rubber JSC), Secretary of Youth Union of the units. 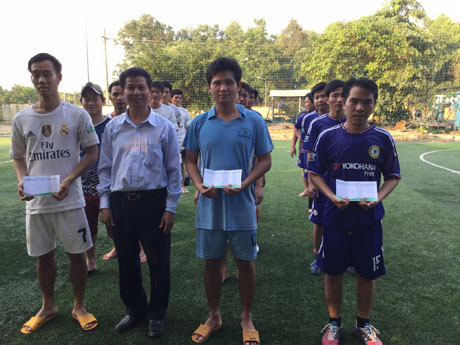 At the end of the friendly football, Youth Union of The North of Đồng Phú Industrial Park JSC get the first prize, Youth Union of Đồng Phú Technical Rubber JSC get the second prize and Youth Union of Tân Lập Factory get the third prize. 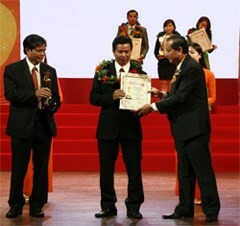 Mr. Đàm Duy Thảo – GD of Đồng Phú Technical Rubber JSC awarded the prizes for the teams. 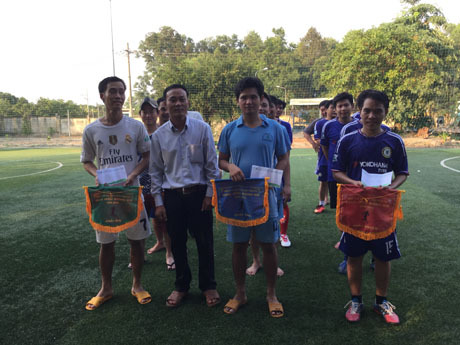 Mr. Lê Công Nhất (Secretary of Youth Union of Tân Lập Factory) awarded commemorative flags for football teams. In the evening of the same day, Đồng Phú Technical Rubber JSC joined a food stall at entertainment night for Party Anniversary and Spring Welcome. 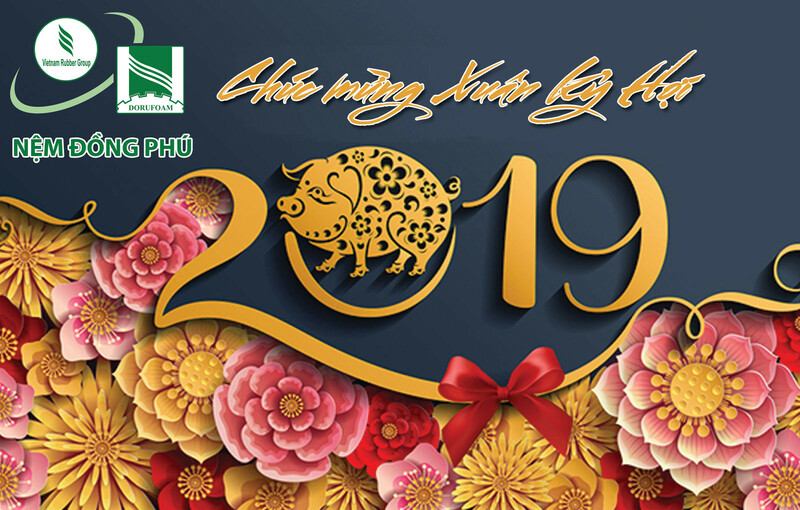 It is a fun-raising activity for the poor to have a happy Tet organized by Youth Union of Đông Phú District, Cultural and Sports Center of the district, People’s Committee of Tân Lập Commune, and Tân Lập Plantation. 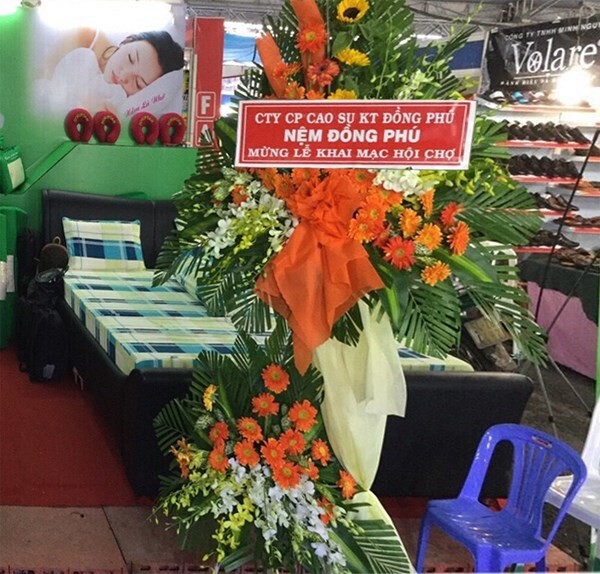 From 18:00, at Tân Lập Plantation, 19 food stalls and game stalls attracted participation of most of union teenagers and people in Tân Lập Commune and neighbouring communes. 19 interesting entertainment shows perfomed by Youth Union units at Tân Lập Commune, Youth Union of Đồng Phú Secondary School and Union of Government agencies and Cutural Center of the district brought happiness to welcome the coming Spring. Youth Union had opportunity to show their talent in cooking and selling dishes such as: finest flour cakes, sweet egg custard, coconut jelly and soft drinks. Union member took part in enthusiastically and joyfully. This helped us believe in an promising Spring with many successes. 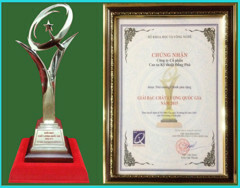 Food stall of Youth Union of Đồng Phú Technical Rubber JSC got the first prize of 19 stalls at the Celebration. 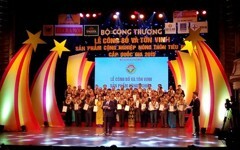 At the entertainment night, Organization Comittee received support from individuals and communities in Bình Phước province for the poor with total amount of 26.924.000 VND; gave 18 gifts, which are 6.600.000 VND in total, for the poor families of Tân Lập commune to help them have a happy and comfortable Binh Than Spring 2016. 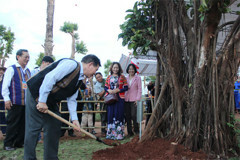 This is a yearly activity of Youth Union of Đồng Phú District when Spring comes. It attracted many people of the district to join.